If you want real singletrack - you better get to Gallup, NM's Adventure Capital. The High Desert Trail system, named after the late Charles High, is a stacked loop system with narrow, single track trails with great vistas and cap rocks. Location: Stacked loop trail system connecting communities of Gamerco and Mentmore, adjacent to Gallup, New Mexico. Gamerco Trailhead: I-40 to Gallup, Exit 20 (Munoz Overpass) to US 491 North for 1.8 miles, turn left at light onto Chino Road. Trailhead on left in .1 miles. Mentmore Trailhead: I-40 to Gallup, Exit 16 to Route 66 (NM 118) West for .2 miles, turn right onto Mentmore Road/County Road #1. Continue North onto dirt road - Trailhead on right in .2 mile. The High Desert Trail System, located just north of Gallup is designed in a series of stacked loops atop the mesas overlooking Gallup. The High Desert Trail system, named after the late Charles High, is a stacked loop system with narrow, single track trails with great vistas and cap rocks. 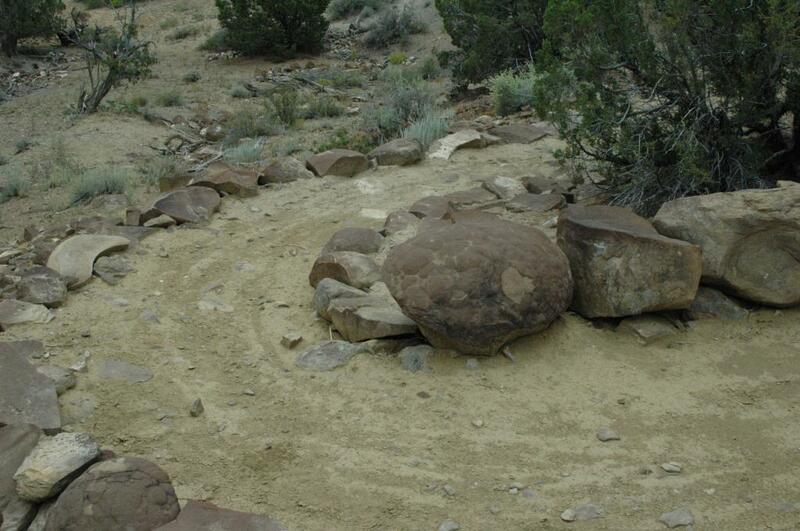 The three loops are named First Mesa, Second Mesa, and Third Mesa representing the nearby Hopi Reservation and the Anasazi people that once occupied this region. Each mesa offers increasingly harder terrain to navigate and will engage riders and runners of every skill level. The course is fast and fun single-track over packed clay, interspersed with some slickrock and sand. There are lots of small climbs and some technical sections. If you've never left the pavement, this is the trail for you. If you're in the mood for something fun and fast, this is the trail for you. If you're looking for a challenge and like a thrill, this is the trail for you. Unique Partnership. It required countless hours of labor on the part of local bikers, Adventure Gallup & Beyond, State, County, City representatives and employees. Funding provided for the trail improvements, trailhead construction, fencing, signage, and kiosks came from a local City quality-of-life bond issue passed by the voters, County road crew in-kind labor and equipment, and funding provided by Representative Patty Lundstrom through the State Legislature. For years, local trail users were ‘poaching' trails on properties leased out by the largest private landholding company in McKinley County, Gamerco Associates. This caused tensions with local ranchers and safety issues due to abandoned coal mining operations. Adventure Gallup & Beyond (AGB), a 501 (c) 4 non-profit organization assembled for the purpose of creating an economic driver through adventure tourism, was successful in engaging and even adding Charles High, President of Gamerco Associates to the AGB Board. Gamerco Associates provided a legal easement through a tract of private land located on the high mesas between Gamerco and Mentmore. Stan Smith, ace trail designer, worked with Rich Freedman, County surveyor and archaeologist, to layout and survey the basic path. Gallup Trails 2010 oversaw the construction, while local bikers refined the route and established the initial tread. 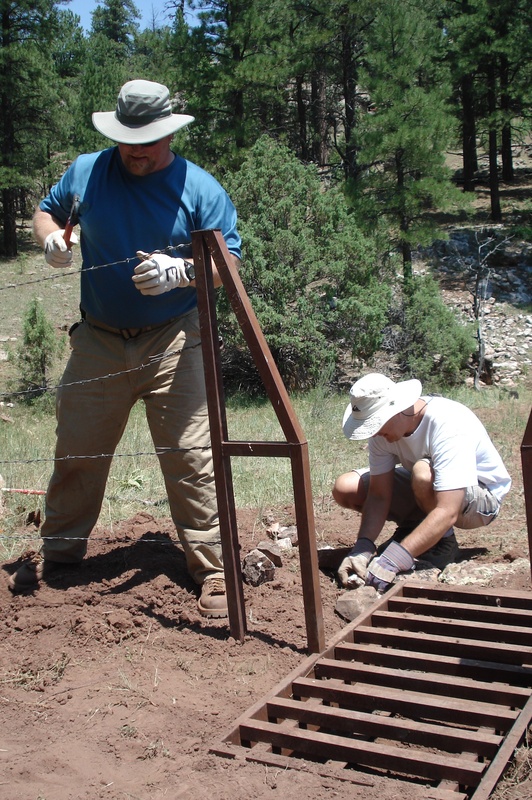 Karl Lohmann and the Youth Conservation Corps provided supervisors, work crews, with the oversight of an ex-Forest Service trail engineer named Strider Brown. Strider designed several monumental stone switchbacks and many state-of-the-art erosion control features. His ability to see a route through a seemingly impossible obstacle is a testament to his experience and creativity. •	Gallup Family Fitness Series, to promote wellness through family events each month. These event combine to attract close to 2,000 participants a year and produce over $300,000 in local revenues. Originally, Gamerco Associates TIC was approached by AGB to develop a stacked loop system to create economic opportunities through adventure tourism, and to date we have seen many annual running and mountain biking events, as well as, an increase in tourist use. We have also witnessed the high local use, as this trail system offers a safe place to exercise and experience the outdoors. There are not many free, safe and accessible health assets in our community. Management. The County has entered into an agreement with Adventure & Beyond (AGB) , a 501 (c) 4 non-profit organization to act as the gatekeeper for this trail system. 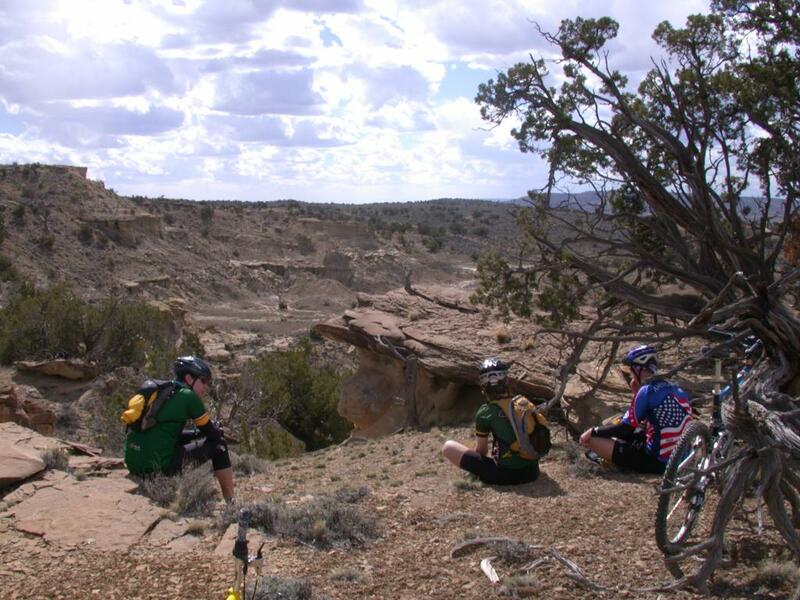 AGB created a “Trails, Venues, & Events Policy” to manage trail and event use and has partnered with Gallup Trails 2010 and Gallup YCC to provide trail policing and reporting, maintenance, and improvement recommendations. AGB also helps promote and develop connectivity and tie-in to surrounding recreational and lodging opportunities. 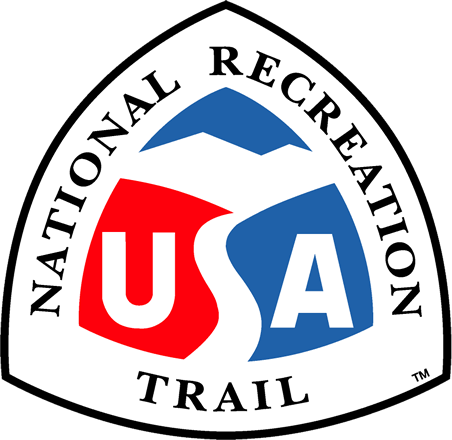 Not only does these trail connect two low-income communities, this trail provides a backbone connecting trail users to other features, such as, Mentmore Rock Climbing Area, Gallup Shooting Range, Historic Route 66, Route 66 hotels & motels, and soon the Rio Puerco Riverwalk. NM's Adventure Capital. 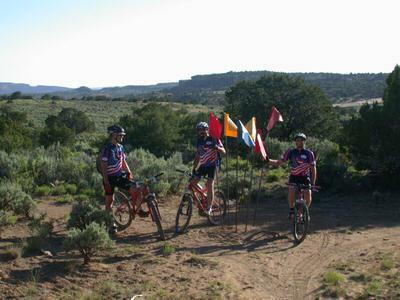 In 2011, Patty Lundstrom, State Representative, introduced and advocated for legislation to proclaim Gallup as the “Adventure Capital of New Mexico”. After debate and deliberation, a unanimous decision was reached by the New Mexico State Legislature - etching in history Gallup's rightful place and igniting pride in its people. Now, Gallup under its new moniker, as “Adventure Capital of New Mexico”, has quite literally put itself on the map. The High Desert Trail System is a centerpiece that has gained national attention, use, and reputation. •	Unique Partnership: a private landholding entity who entered into an easement with McKinley County. The County works with AGB as the gatekeeper. AGB organized the design and development through its partnerships with Gallup Trails 2010, a State-awarded trails advisory organization and the Gallup Youth Conservation Corps (YCC), a 50+ youth member crew. Other prominent advisers include IMBA and NPS-RTCA. •	Holistic Range Management: Gamerco Associates has several existing grazing leases that run livestock in this same area. Proper planning for fencing and special singletrack cattleguards combined to limit improper joint use and develop holistic use of the land. 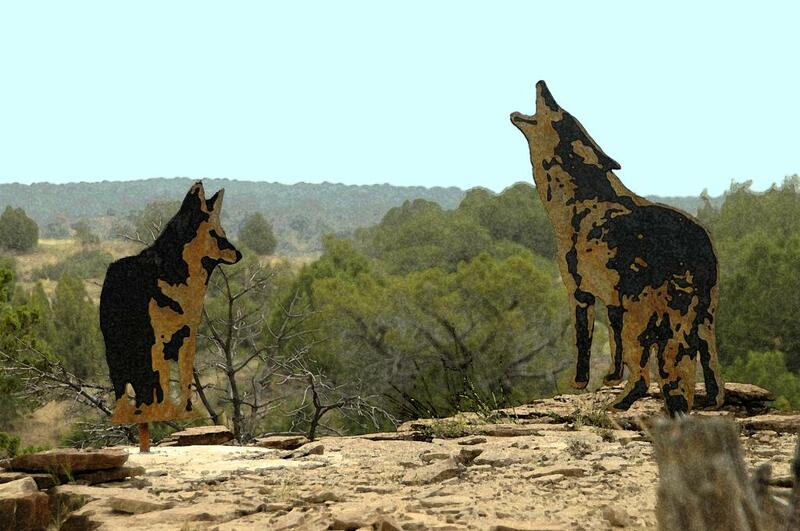 •	Art Installation & Trail Markers: local photographer, artist, and trailbuilder Bill Siebersma developed unique steel and asphalt animal installations, Six Flags, and a sundial along this trail. There is also a memorial for Kent Hodges, a local leader who collapsed and died during a half marathon event. 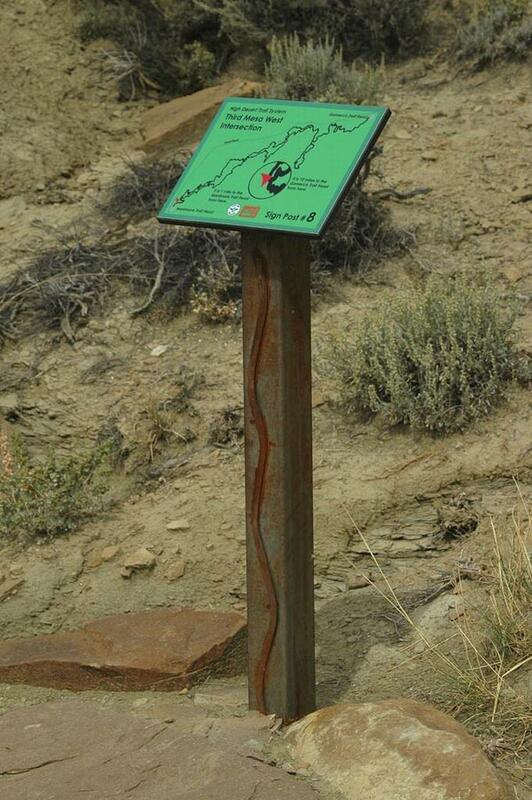 There are also some amazing rock trail markers along the trail installed by YCC. 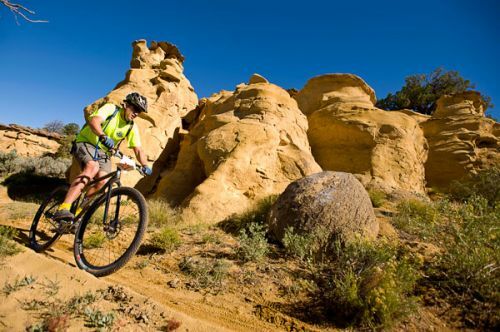 •	Connectivity: Not only does these trail connect two low-income communities, this trail provides a backbone connecting trail users to other features, such as, Mentmore Rock Climbing Area, Gallup Shooting Range, Historic Route 66, and soon the Rio Puerco Riverwalk. Map: Adventure Capital of New Mexico map guide. Some of the Gallup-McKinley County Youth Conserv. 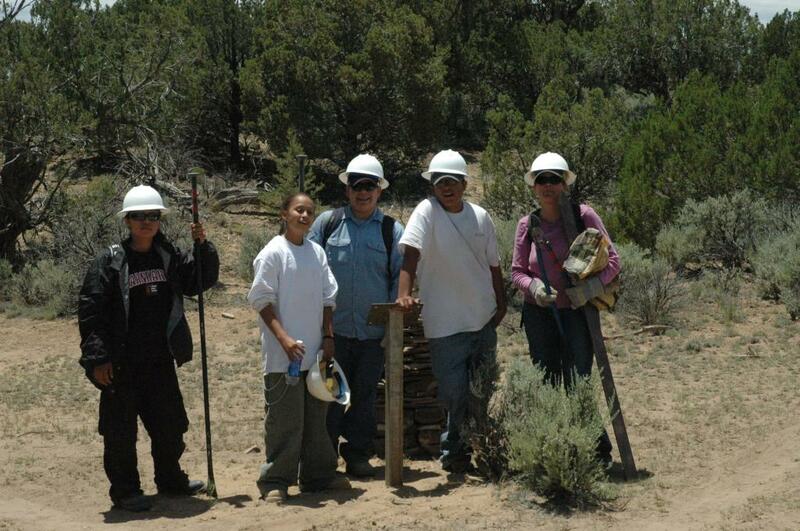 Youth Conservation Corps (YCC) Rock work. An example of special cattleguards.